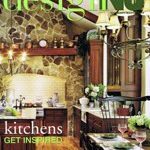 Northvale- Professional Remodeler magazine has awarded its 2008 best of the best design awards, recognizing outstanding design, craftsmanship and functionality of remodeling projects across the United States. This year, the “Whole House” and “Kitchen Under $75,000” award was presented to Creative Design Construction & Remodeling of Northvale. In Qualified Remodeler magazine, the firm won both the “Master Design” and the “Top 500,” in the publication’s 29th annual recognition program. For the complete list of awards presented to Creative Design, go to www.creativedesignconstruction.com. 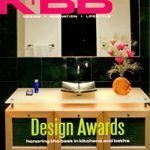 The judging panels for both national publications consists of remodelers, architects, and kitchen and bath designers nationwide. Contestants’ work is submitted anonymously. The winning projects are being featured in the current issues of both magazines. Serving Bergen and Rockland counties, Creative Design Construction & Remodeling’s showroom and executive offices ate located at 204 Livingston St. in Northvale. For more information, call 201-822-1949 or visit www.creativedesignconstruction.com.